If you have rosacea, we don’t have to tell you about the problems rosacea can cause with redness, flushing, and irritation. If you have had both common acne (acne vulgaris) and rosacea, we don’t have to tell you that the sheer unpredictability of rosacea flare-ups can be more frustrating than acne itself. But we will tell you that there are ways of fixing the redness and flushing caused by rosacea that really work. Aloe can help prevent rosacea by locking moisture into the skin, making it less reactive to temperature changes. Robert was a middle-aged guy who had rosacea but he didn’t know it. For several years Robert thought that he had some kind of weird mid-life acne that was concentrated on his nose, and his doctor (who was not a dermatologist) gave him benzoyl peroxide, minocycline, and even Accutane. All the treatments made Robert’s rosacea worse. Robert’s breakthrough came from reading an article about rosacea on this very site. Ditching the doctor who had misdiagnosed him for four years, Robert found a doctor who recognized that the real problem was rosacea—but that was just where the treatment began. Robert had a problem with pimples on the sides of his face, but the bigger problem was consistent redness in the cheek area. He also was forever getting whiteheads on his nose. An even bigger problem for Robert was the effect rosacea was having on his professional life. In a business where he constantly had to meet new people, rosacea was robbing Robert of that opportunity to make a good first impression and gain his clients’ confidence. Robert found that having acne made his clients respond to him as if he were juvenile, no matter what he said. That was more than frustrating. It was costing him the business he needed to earn the money he needed to provide for his kids who lived with his ex and her new rosacea-free husband. There was no way to quantify the cost of acne on his professional life, but Robert felt quite sure that acne was keeping him from getting ahead. When Robert’s doctor asked him how looking in the mirror made him feel, he replied “I don’t know. I haven’t looked in the mirror in a week. I make a point of avoiding all reflections of my face.” As soon as the steam started dissipating from the mirror, Robert was sure to get out of the bathroom quickly. Bumpy skin is one of the less talked-about aspects of rosacea. In Robert’s case, the bumps were more like giant whiteheads than they were like big red pimples. He might go a couple of weeks without getting a new bump on his nose or cheeks, but a new bump usually popped up about every week or so. For the bumps, in addition to the medications listed above, Robert had been given benzomycin, Retin-A, Duac, witch hazel, and Proactiv. For a while he tried every product a friend or family member would suggest, but eventually decided it was time to get rid of rosacea for good. The acne treatment that finally worked for Robert was a combination of a prescription medication called Azelex, which is azelaic acid, and a generic, inexpensive, over the counter moisturizer that contains water and aloe gel and not much else. Azelex is a well known treatment for acne. It’s good for getting the red out of rosacea. It reduces facial flushing and it helps clear up the purple veins that can pop on the sides of the cheeks and under the eyes with rosacea. The way Azelex works is not well understood by pharmaceutical science. It’s known to slow down the production of the keratin that the skin uses to make its tough outer layer. In everyday acne, that’s important for keeping pores open, but rosacea is not a condition caused by blocked pores. It is a condition caused by leaky blood vessels. It’s possible that reducing the production of keratin makes the skin more flexible so the blood vessels just beneath it are not exposed to as much mechanical stress and they just don’t leak (and cause redness) as often. Azelex also is known as an antityrosinase. That means it interferes with one of the enzymes that can convert compounds containing the amino acid tyrosine. Sometimes these compounds leave tinges of purple, black, or blue in the skin. This doesn’t get the red out of the skin. It may be the better blood flow that does that. But it seems to reduce the formation of tiny blue and purple veins in the skin. 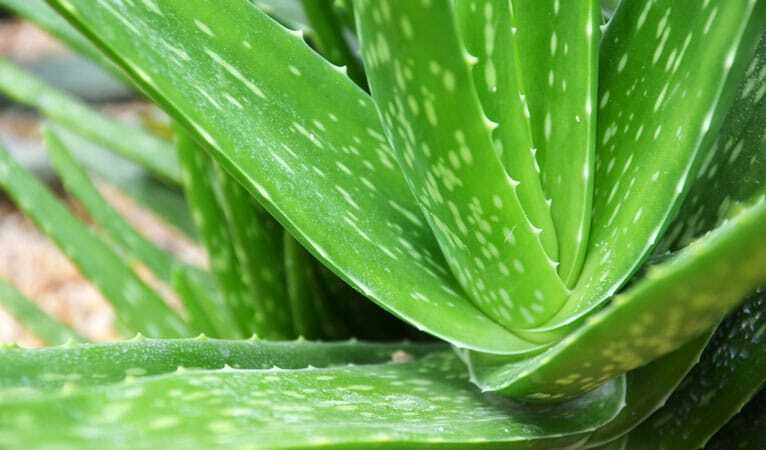 What does an aloe moisturizer do for the skin? At first it would seem that the answer would be “not much,” since rosacea is not caused by drying of the skin and does not dry the skin out. However, preserving the moisture already in the skin makes it less reactive to changes in temperature. It protects the skin from the effects of heat after cold that so often trigger a flare-up of rosacea. The less often you have rosacea flare-ups the less susceptible you are to the disease, so it may be that the $5 natural aloe moisturizer Robert bought made just enough difference to bring rosacea finally under control. No acne treatment works for everyone who has any kind of acne. Azeliac acid is no exception to the rule. If you don’t get good results when you try Azelex, however, you can always ask your doctor about one of the newer foaming formulations of azelaic acid that ensure better contact with the skin and that raise the pH of the skin to fight skin infections. Robert felt that getting rid of rosacea for good was a major blessing in itself, but that was not the only benefit of treatment. For five years, rosacea had ruled his life. Getting rid of rosacea helped him feel calmer in social settings. Alone for ten years, he started dating again. And his business also picked up. Taking Azelex does not guarantee that you will find love and get rich, but sometimes it helps. I have rosacea, not too severely but enough to make my cheeks red and irritated. DermalMD Rosacea Serum is very soothing and smells pretty good. I use it every morning after washing my face. I do still get some red spots, but not nearly like before. I use prescription face wash and along with this cream, it keeps my rosacea pretty well in check. I like this serum and would buy again. I was very suspicious of DermalMD Rosacea Serum...but since I been using it my fave doesn't get red anymore.! So it works for me!! I got a chance to try demalmd serum on rosacea and i am very much surprised now to have it.So much excited to suggest it.